Original traditional jacket business style. Colour anthracite. In traditional herringbone. For a neat appearance on occasions where traditional style in country house or traditional costume are welcome. 60% cotton / 40% linen. Excellent wearing properties especially in summer. Very breathable. Equipment of high quality and elegant. 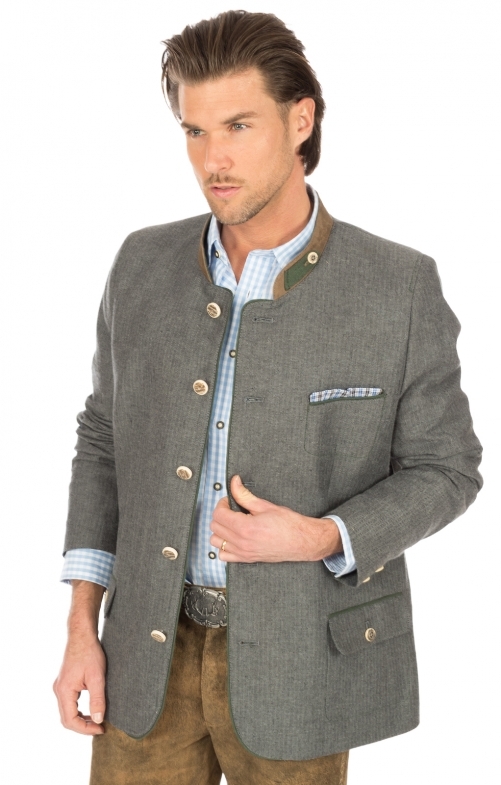 The green piping on the jacket edges and pockets are made of leather. Just as the brown collar gag with the buttoned machine. The stag horn buttons are of course real and the small pocket square and the modified breast pocket shows that you are open to modern younger elements.